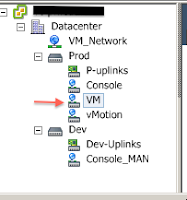 Is it possible to prioritizing the traffic of just a group of VMs ? The answer is yes !!! Network I/O Control (NIOC) is a feature on the Distributed Virtual Switches (vDS) that when the hosts detects a congestion on it's network card, it will then starts to prioritize the traffic flowing from it. 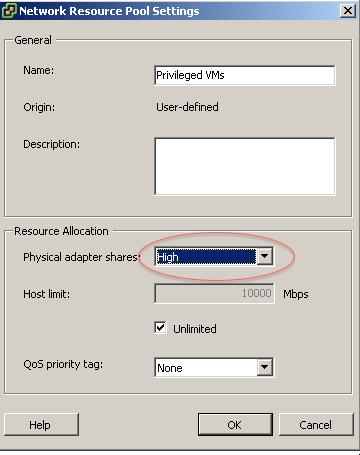 To prioritize it's network traffic, it uses the SHARES concept (the same concept we are used to with vCPU and memory shares of a VM). That’s when the client realizes all the traffic for the virtual machines will get the same priority and then the inevitable question pops up. 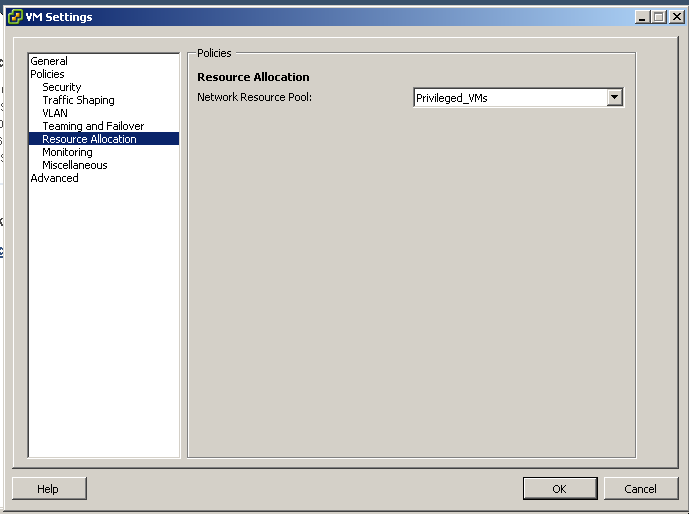 Luck of us that the NIOC has been enhanced with vSphere 5.0 and now it includes the capability of creating a user defined network resource pool. With that in mind, you can create a new network resource pool, give it a higher share than the Virtual machine traffic and associate this resource pool with a PortGroup. If all your VMS are on the same Port Group you wound not be able to prioritize the atraffic among them. You will need to segregate your VM's traffic, creating new PortGroups/ VLANs, let’s say for critical VMs, or databases then you can give them a higher priority over the others. 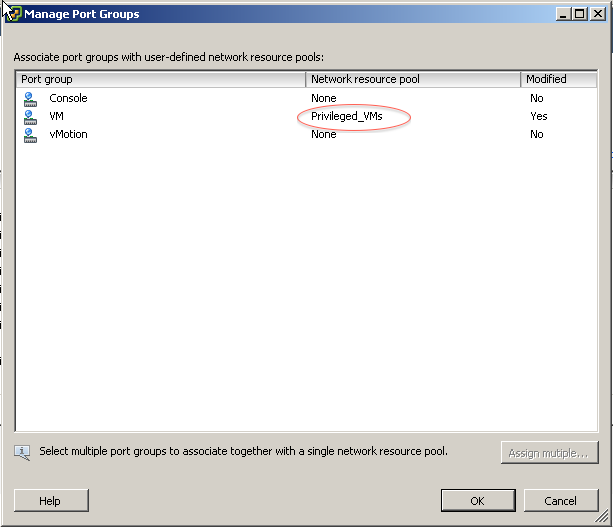 - select the vDS that has the portgroup you want prioritize. Make sure the NIOC is enable. - add a name, a description (optional) and adjust the share as you wish. There’s also another way to associate a Port Group with a Resource Pool. 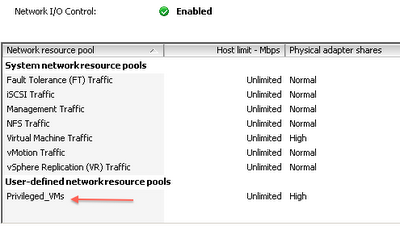 - Change it for the desired Network Resource Pool. 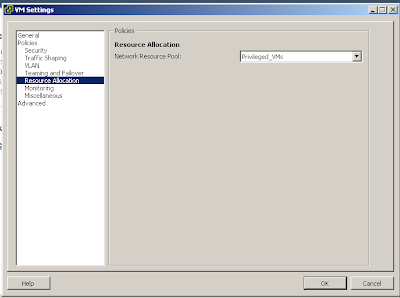 Now you can give the network priority your VMs deserves.